In this tutorial, I am going to show you how to make 2 pairs of shorts you can see in the images below. And you can find how to make matching pajama tops in my other tutorial here. For a long time, I feared sewing shorts and pants because they never fitted right. 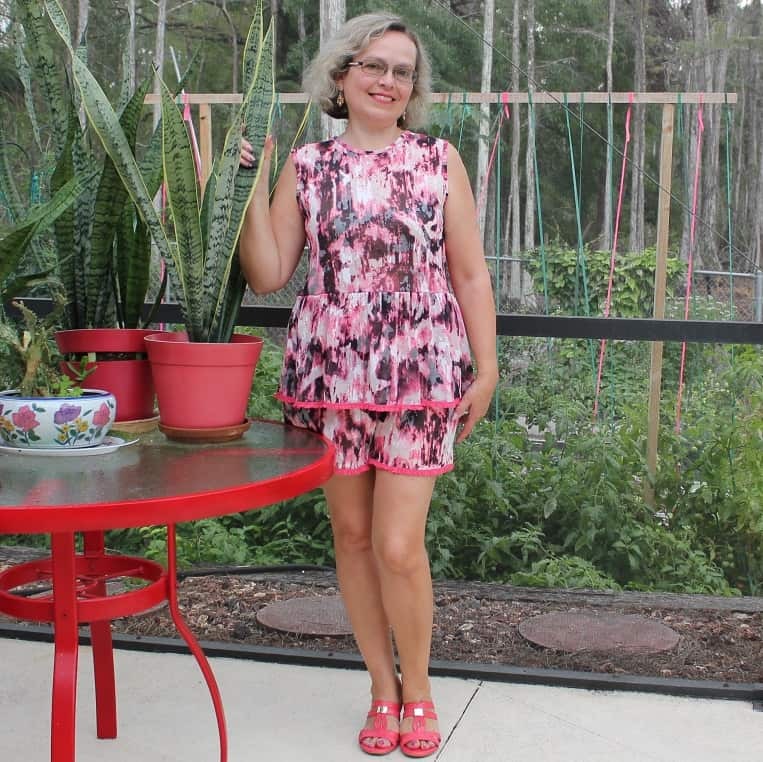 I tried different patterns, starting with Burda and finishing with McCalls and Vogue. Even if the pattern was close to my measurements in hips and waist the pants were not good in a crotch area. So I didn’t make any pants. But at some point, I decided to draft my own high waisted shorts pattern because I was really tired of those low-cut shorts that won’t stay up without a belt and kept dropping off my hips. I found easy instructions how to make a simple shorts pattern in one of the Russian YouTube tutorials. 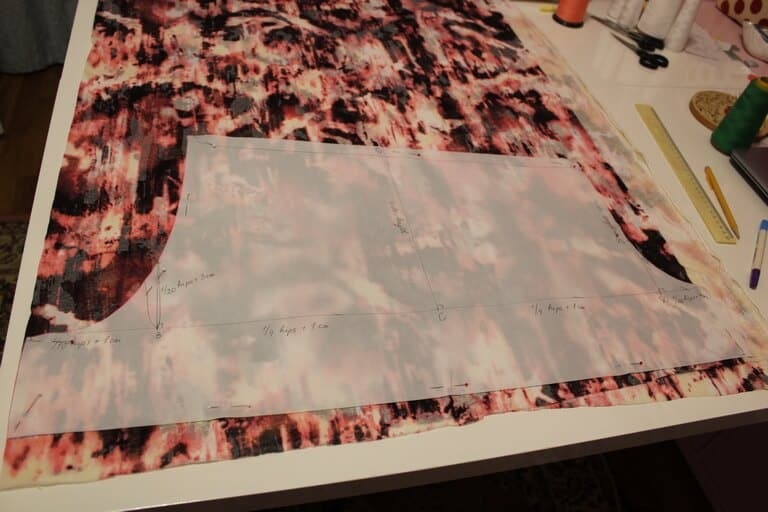 It was really simple, it didn’t even have side seams and zipper closure, and I could even draw it right on the fabric without a paper pattern. I made a few changes to the basic drawing though. To my surprise, the first shorts I made with this simple pattern fitted me perfectly. Since then I made lots of shorts and pajamas pants using this pattern. 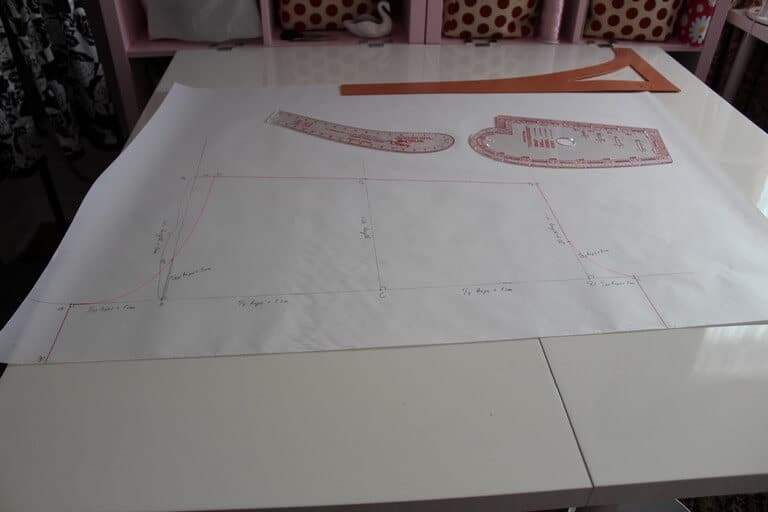 Here are the steps how you can make the pattern for your own measurements. 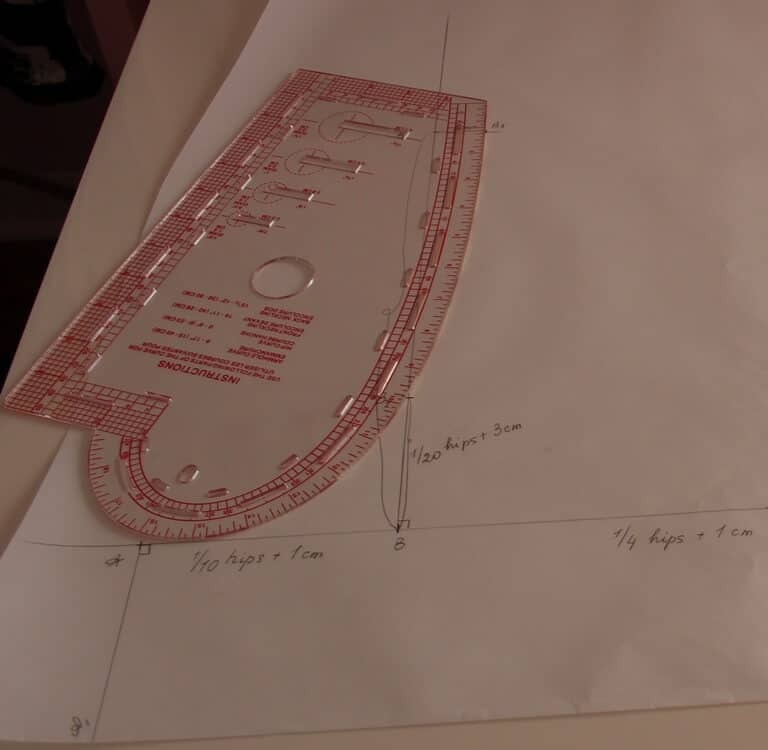 I hope you are going to have a perfect crotch also and I hope this simple pattern will be good for any lower body shape. Note: I give all numbers in metric. If you would like to convert them to the imperial system you can use a regular tape measure with both metric and imperial systems. 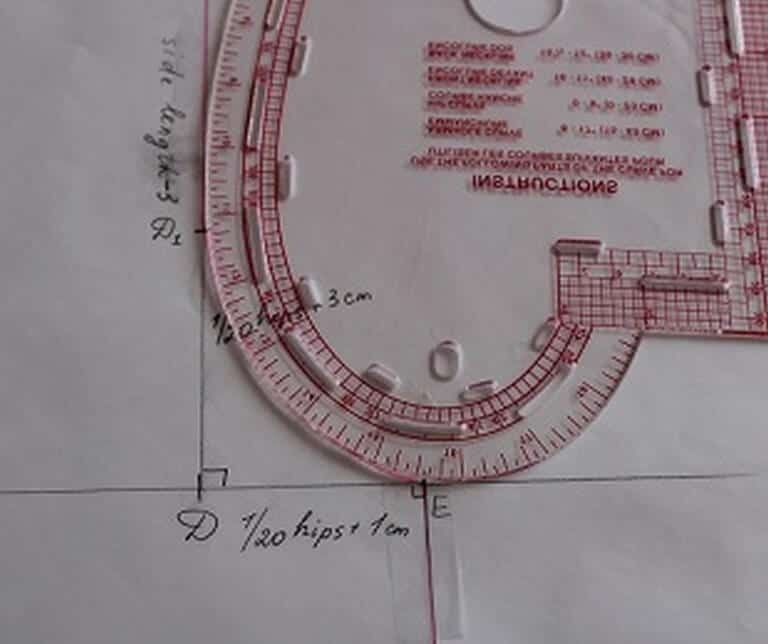 I need to mention here that the traditional way of taking these measurements is to measure the exterior pants length ( from waist to end of leg ) and the interior pant length ( from crotch to end of leg ) and the “side length” is derived as the difference between the two. I am more used to my way of taking the measurement but there is nothing wrong with the traditional method either. The important thing is the end result. This pattern has seam allowances already included and they are around 1 cm (3/8 in). Please note that I am not a professional seamstress and didn’t finish any pattern making courses. Maybe this pattern breaks some pattern making fundamentals, I don’t know about that. The only thing I know that it fits well and it’s a really easy pattern. As you may notice distances B-C and C-D are equal to each other and are equal to ¼ hips + 1cm. Draw a perpendicular to line A-E in point A and mark point A1 at a distance equal to inner pants leg length (for my shorts I used 10 cm). Perform a similar operation in point E, distance E-E1 is equal to A-A1. Connect points A1 and E1. This line is parallel to line A-E. Draw a perpendicular to line A-E in point B and mark on this new line two points: B1 at a distance 1/20 hips + 3cm from B and B2 at a distance from B equal to the measured side length + 3cm. Draw a perpendicular to line A-E in point C and mark on this new line one point C1 at a distance equal to the measured side length. Repeat the process from the step above in point D and mark in a similar fashion points D1 and D2: D1 at a distance 1/20 hips + 3cm from D and D2 at a distance from D equal to the measured side length – 3cm. Draw a perpendicular to line B-B2 in point B2 and mark a point B3 at a distance of 3cm (for all sizes) from B2. Line B2-B3 is parallel to A-E. The Grainline is parallel to lines B- B2, C-C2 and D-D2. Connect points B3, C2 and D2. Please note that the points B3, C2 and D2 are NOT in a straight line; they are close, but not co-linear. This is expected. Use the French curve ruler to draw a curve through the points B3, B1 and A. Same procedure for a curve from D1 to E, please see the images below. Here are affiliate links where you can buy the French curve ruler. You can draw this curved lines free hand without the French curve ruler of course. The usage of the French curve tool is intuitive and I am trying to make the curve tangent to the target lines at both the start and end points. This is of course not an exact action but it is quite easy to find on the curve a portion that is as close to tangent as the naked eye can see at both points. Well, that’s all for the pattern drafting. Now lets’ prepare the fabric for the shorts. 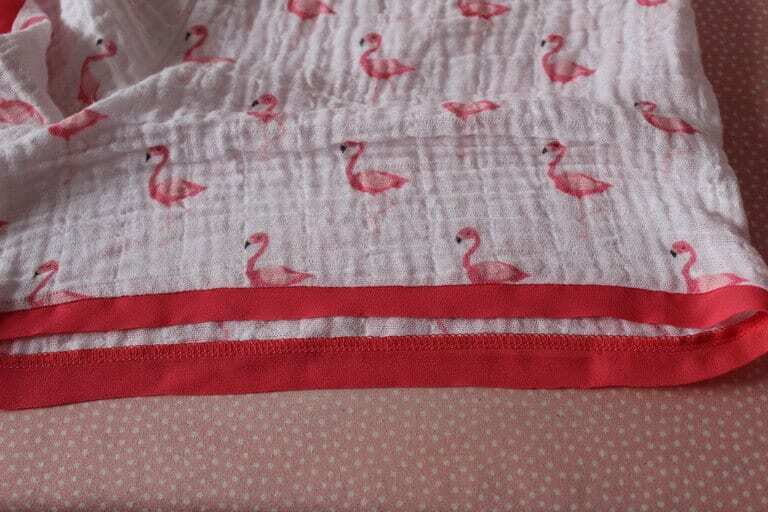 These guidelines are good also for matching pajama tops (I guess you would like to sew them too; check out this link that goes to my other tutorial). 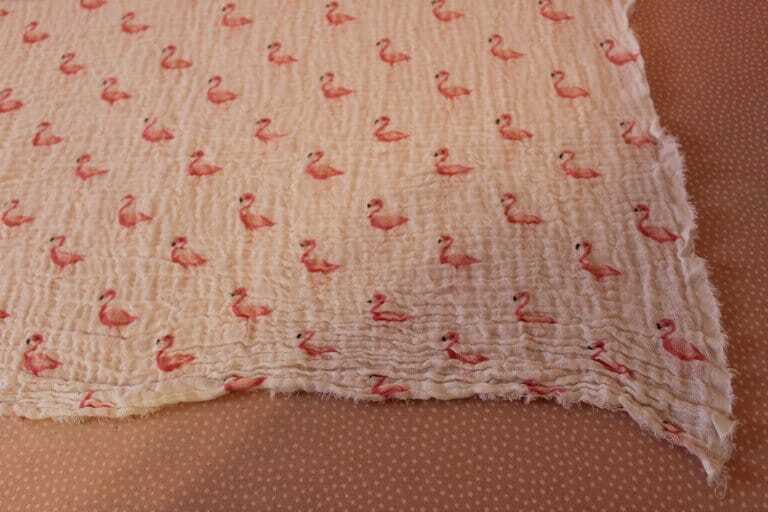 This pattern is suitable for any kind of knits and also for lightweight and medium weight woven fabric with some kind of stretch in it. 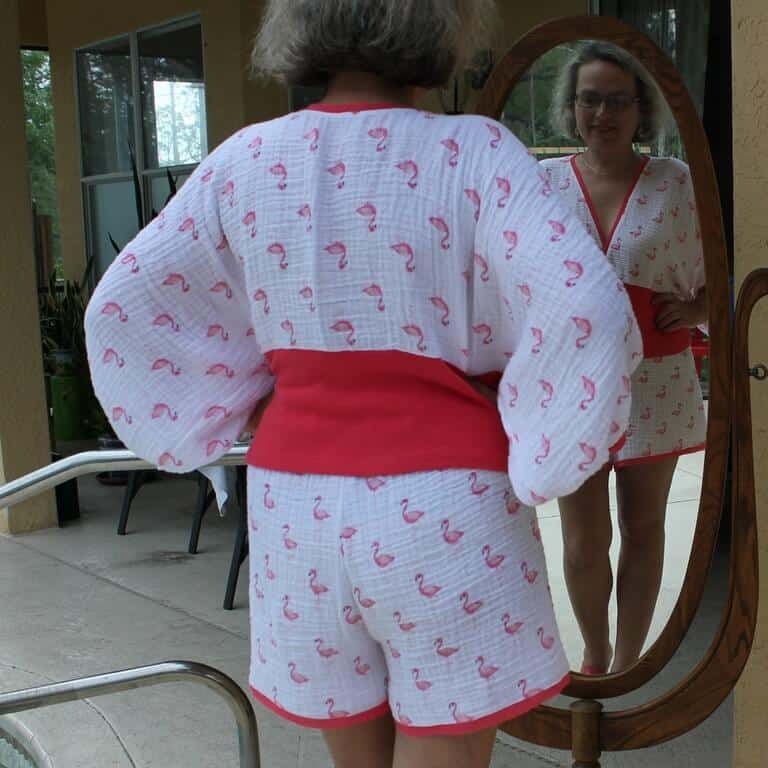 I used 100% cotton double gauze fabric for one pair of shorts and 100% cotton knit fabric (very lightweight and almost see-through) for another pair of shorts. For embellishments, I used silk chiffon fabric and elastic trims. 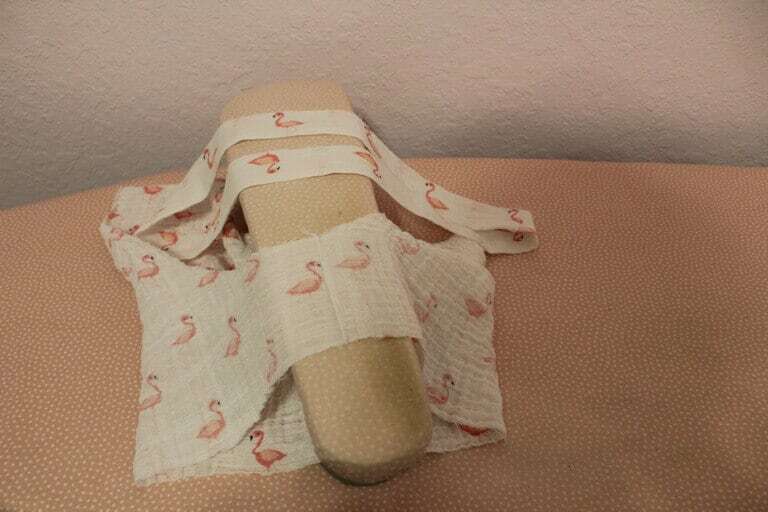 For best results, I prewashed all fabrics and trims in warm water and used my dryer for the gauze and the cotton. As for the chiffon and trims, I air dried it after prewashing and afterwards ironed. 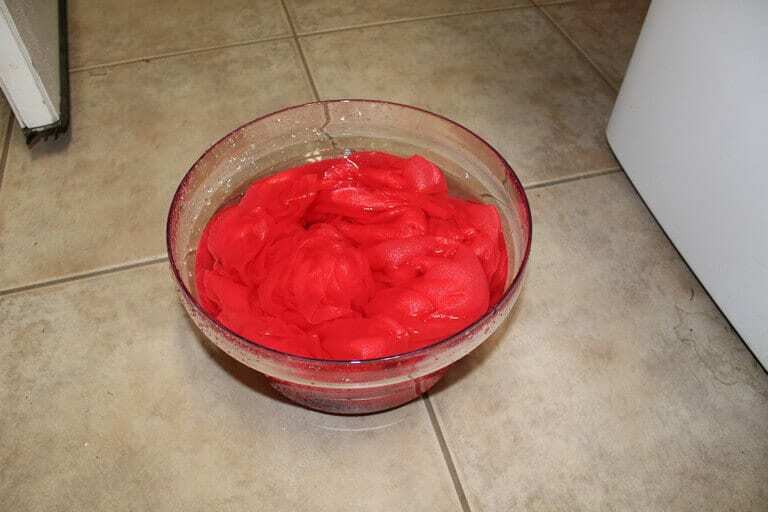 Check my tutorial about prewashing silk fabric – click here. The prewashing added some more crinkliness to the cotton gauze, especially at the edges of the piece of fabric so I needed to iron the edges to make them smoother. You will need also some elastic for a waistband. Measure it around your waist and cut. I used 2.7 cm wide elastic for my shorts. For every sewing project you will need to find at least one straight edge of the fabric so afterwards you can advance from that line on. Fabric cut in the store is not always cut straight. Sometimes the bevel happens to be 5-10 cm or even more. 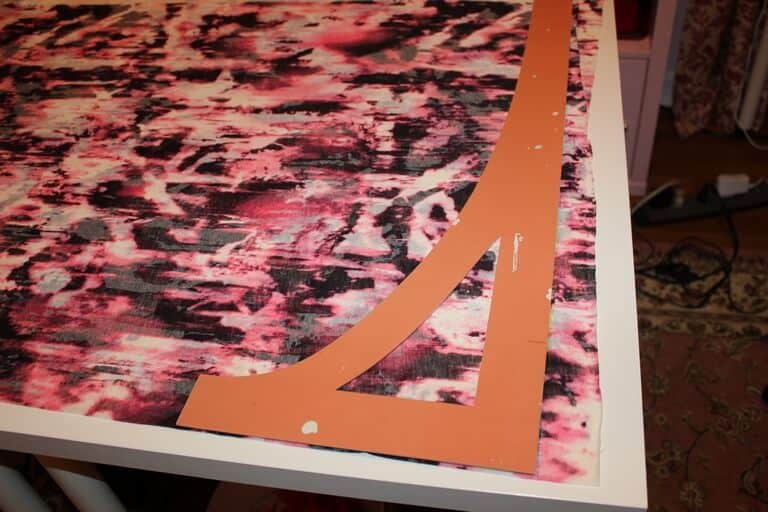 It is very important to straighten fabric edges for any sewing projects BEFORE cutting pattern pieces from it. Do you want to sew better? Sew easier? Thanks for signing up! Check your email for a message from olga@ageberry.com and a link to my bonus guide. Cut 2 shorts’ pieces. 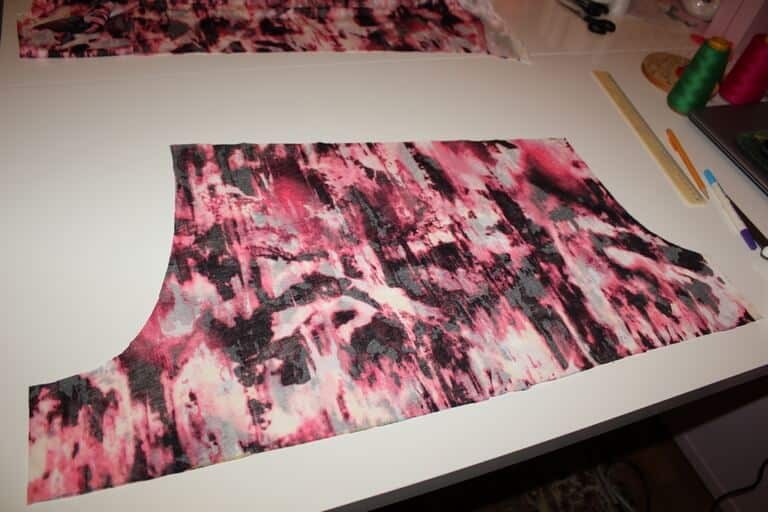 Be careful to cut them as opposite if you are using a single layer of fabric. 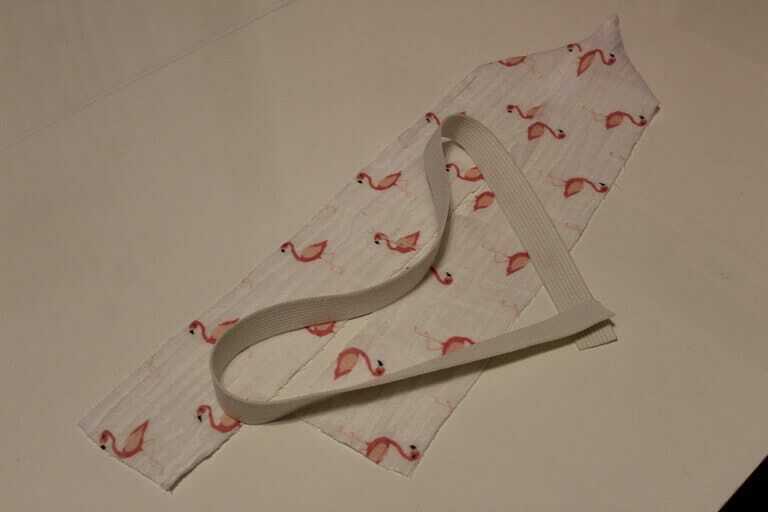 I had to do it with the double gauze fabric (not in the images). If you would like to see a bigger image just click on it and it will open in the same window. and 2 silk chiffon hem embellishments ( 5 cm wide and the length is equal to the distance A-E) or trims for the hem with the same length. I used my serger with 4 thread overlock stitch. 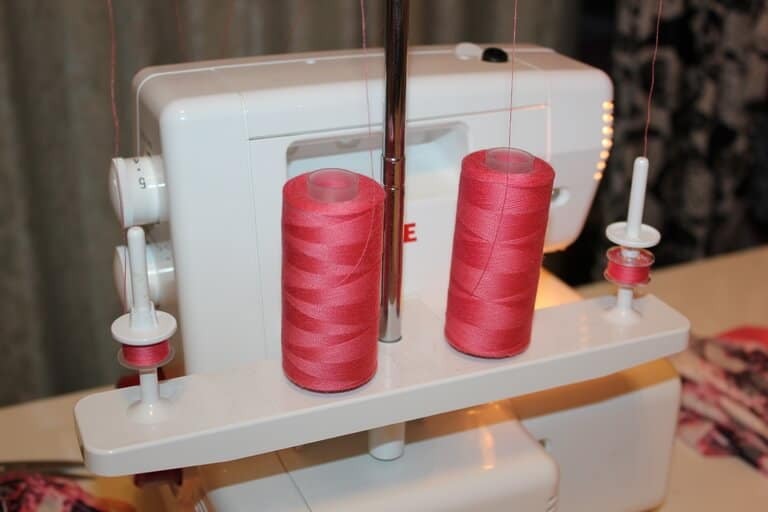 Thread your serger with suitable threads, change needles if necessary, and try sewing on scrap to check its settings. Useful tip: You don’t need to buy 4 cones of the same color thread for this 4 thread overlock stitch. I usually have one cone (sometimes 2) and then I use my regular sewing machine to put the thread on 3 bobbins. I use bobbins in my serger but they have to be covered with small spool holders as you can see in the image below. Useful tip #2: I have easy threaders on my sewing machine and my embroidery machine but I don’t have it on my serger. So threading the needles can be a problem. So I started to thread the needles before inserting them to their place in the serger. See the video below. Here is an affiliate link if you are interested to buy. Start sewing shorts with stitching inside leg seams. Stitch the short ends of the waistband. Press the seams. Fold the waistband in half and press. Insert one short leg into the other, with right sides together. Stitch center front and back seams as continuous seam. 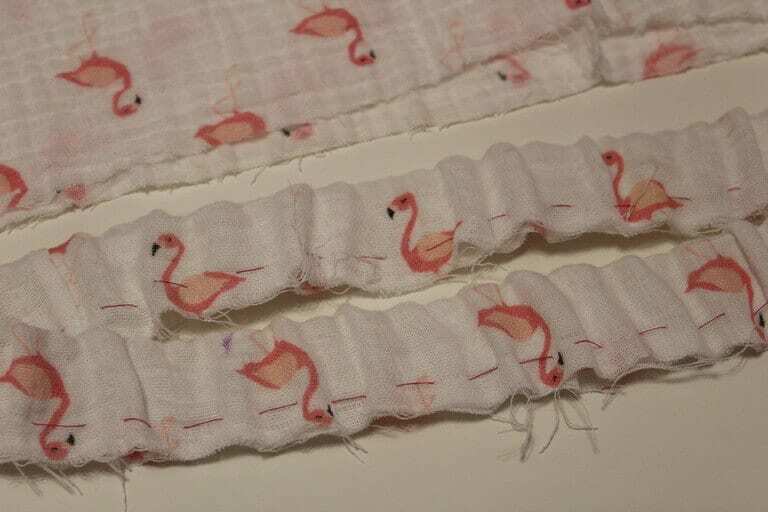 Sew the ends of the elastic together. 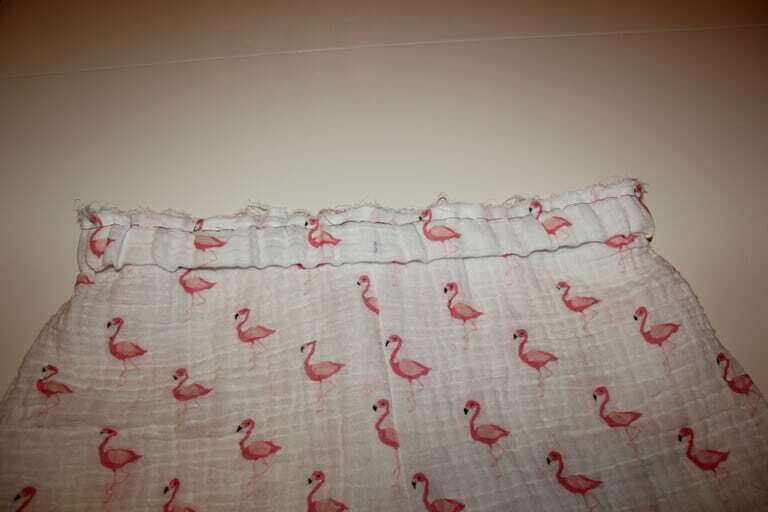 Divide the elastic and the folded waistband into quarters and mark 4 points on the folded waistband and on the elastic as I show it in the video below. Insert the elastic into the waistband matching all 4 points and pin it. Baste the casing under the elastic. Mark the center front, center back, left side, and right side on the waistline of the shorts. Starting at one of these points, pin your waistband (with the elastic inside) to waistline along the edge. Match your centers and match your left and right sides, pinning at these points so you will have four pins securing the waistband to the edge of your shorts. Insert 4 more pins between those points and baste the waistband to the shorts stretching it to match the shorts’ waistline. Remove all pins before serging. Beginning at one of the 4 points drop the needles into the waistband. Start sewing holding the waistband securely both in front of and behind the presser foot and stretching the waistband until it matches the short’s waistline. 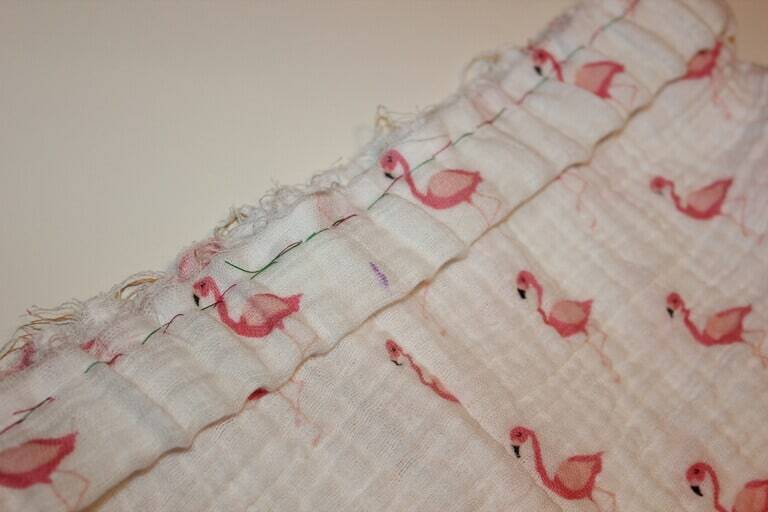 Sew around the waist, adjusting the waistband so it continues to match the waistline all the way around. When you get back to where you started, overlap your stitching to secure the seams. Finish hems of each leg. 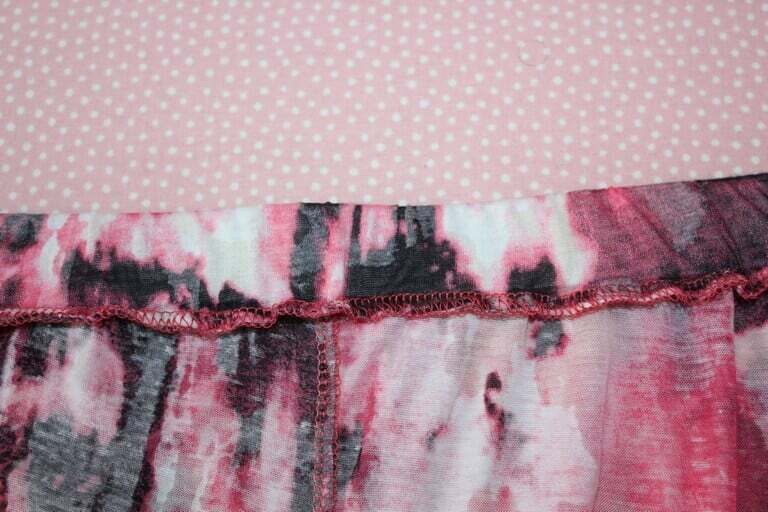 For gauze shorts I used folded strips of silk chiffon and for knit shorts I used matching elastic trims. The hem on knit fabric has to stay stretchy. Now it became possible to use just a regular sewing machine with just a regular straight stitch for sewing knits. Isn’t that awesome? 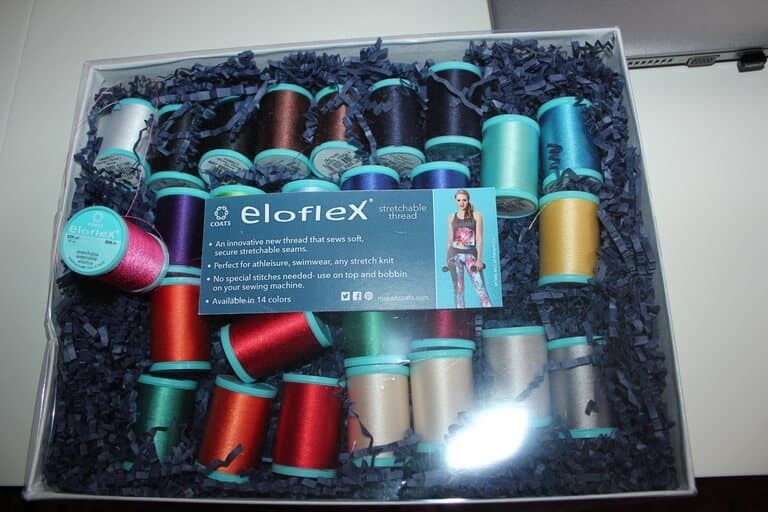 But we have to use a special stretchable thread that’s called Eloflex. I am sure even a beginner sewist could make these shorts in almost no time at all. 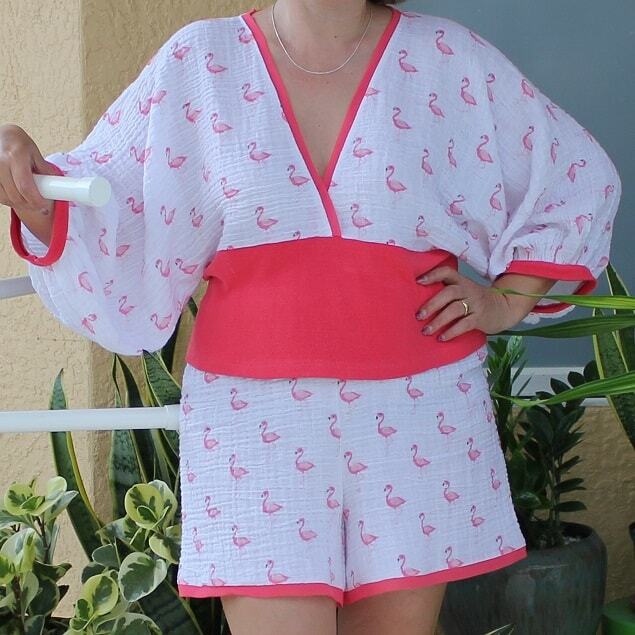 If you want to make also matching pajama tops check out my other tutorial.